People seem to either love American Football or hate it. People who love it may think they can’t get involved. It’s too complicated to learn, it’s too rough, you have to be super fit. Flag Football has some fairly simple basic rules. The complicated rules can be picked up later. Flag Football is a non-contact sport (think along the same lines as basketball). If you ARE super-fit, that would be great, but if you are not, Flag is a good sport to gradually build up the fitness Levels. For the people who hate it? Maybe they don’t understand it. Flag Football has a fairly basic set of rules that can be learned quickly. The nuances can be added on later. If you are looking for a new sport, Flag Football is one of the fastest growing sports in the world at the moment. It is a great place to give it a go. The Grangemouth Flag Football Club’s two teams, the Grangemouth Broncos and Grangemouth Colts, are looking for new members. We are looking for people to play. We are looking for people to referee. We are looking for people to help on the sideline. We are looking for people to just come and cheer us on. This year our two teams had a great year. In their first competative year, the Colts were second in their division and eighth in the UK at the BAFA Div 1 level. Meanwhile the Broncos were third in their league and effectively ninth in the UK at the Premier (elite) level. We are looking for players to boost our two squads to help us push further up the rankings in 2019. Males and females 16 years and over are eligible to play. No experience is necessary, just a positive attitude, and a willingness to learn a new sport. The Grangemouth Club has a proven track record for getting players up to speed quickly, then developing them to the point where they can be eligible for National and International teams. For female players, they are eligible to play in the mixed teams with the males. 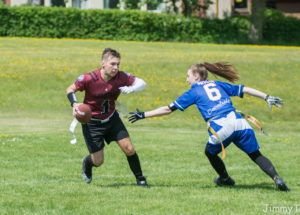 While we don’t currently have a ladies team, if we were to get the numbers, we can work towards getting involved in the Opal series, the BAFA female only competition. Maybe you think you are not up to playing the game. In that case we can get you involved as a referee. You don’t need to have a huge knowledge of American Football, we can teach you anything you need to know to referee games. Plus, when you are an official in American Football games, you are never alone, so there are always people there to help you develop. Whether it is at practice, or in games, there is always a need for help around the field. Not just as a waterboy. We need coaches, statisticians, videographers, photographers, medics, etc. 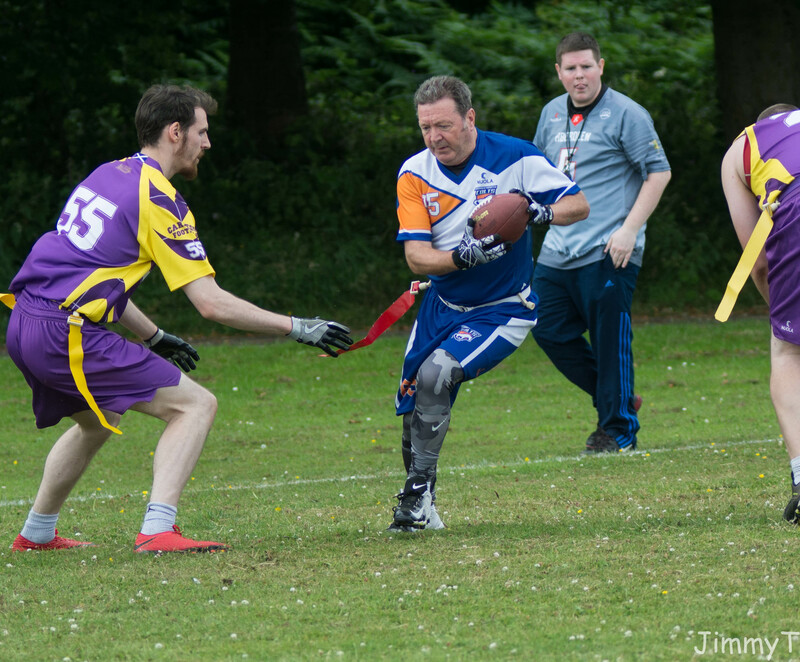 Flag Football in general and particularly in Scotland is a close knit community. the atmosphere at games is always friendly and supportive. There are none of the negative influences you can get in other sports. If you want to give Flag Football a try, get in touch with the Club. Leave a comment on this article, Contact one of our Facebook Pages (See Below) or simply turn up at one of our practices. The timings and venue should be on the right of this page.